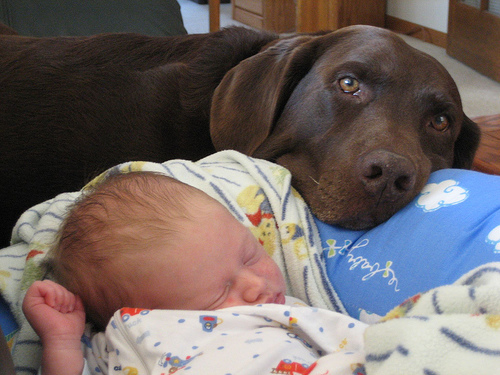 Infants Wheeze Less in Homes with Multiple Dogs. If that’s true, then Caleb is set. He’s got two big furry companions who shed everywhere and follow us around everywhere – including the middle of the night feeding. ← Why is my dog aggressive on leash?